Heartfelt Memories Pet Cremation and at Home Pet Euthanasia Services for Western Washington and the greater Puget Sound Area. 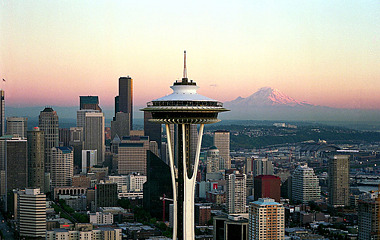 We offer Pet Cremation and Home euthanisasia services to the following cities and counties in Washington State. At home pet Euthanasia and home pick-up for Pet Cremation Seattle,WA. At home pet Euthanasia and home pick-up for pet cremation Everett,WA. At home pet Euthanasia and home pick-up for pet cremation Bothell, WA. At home pet Euthanasia and home pick-up for pet cremation Lynnwood, WA. At home pet Euthanasia and home pick-up for pet cremation Edmonds, WA. At home pet Euthanasia and home pick-up for pet cremation Snohomish, WA. At home pet Euthanasia and home pick-up for pet cremation Lake Stevens, WA. At home pet Euthanasia and home pick-up for pet cremation Granite Falls, WA. At home pet Euthanasia and home pick-up for pet cremation Arlington, WA. At home pet Euthanasia and home pick-up for pet cremation Mukilteo, WA. At home pet Euthanasia and home pick-up for pet cremation Camano Island, WA. At home pet Euthanasia and home pick-up for pet cremation Marysville, WA. At home pet Euthanasia and home pick-up for pet cremation Mount Lake Terrace, WA. At home pet Euthanasia and home pick-up for pet cremation Shoreline. WA. At home pet Euthanasia and home pick-up for pet cremation Issaquah, WA. At home pet Euthanasia and home pick-up for pet cremation Bellevue, WA. At home pet Euthanasia and home pick-up for pet cremation Snohomish county, WA. Welcome to Heartfelt Memories Pet Cremation Seattle and Seattle at Home Pet Euthanasia Serving Western Washington State and surrounding areas. If you have found your way here due to the loss of a pet please accept our condolences. We hope our compassionate, respectful and dignified final care options will provide comfort and closure for you and your pet. Heartfelt Memories Pet Cremation and Home Pet Euthanasia offering services to Washington State and surrounding Puget Sound areas. We come to you. We understand transporting a deceased pet can be difficult for many reasons. We arrange the pick-up and transportation of your pet from your home, Veterinarians office or other location for pet cremation. We offer communal and certified private pet cremation. Certified private pet cremation insures your pet will be cremated individually opposed to a communal cremation with other animals. Certified Private Pet Cremation allows for the collection and return of "your" pets ashes and certifies the returned ashes are the ashes of your pet. A certificate of Private Cremation will be presented to you with the return of your pets ashes. We have a free Guide to pet Cremation you can download. We return your pets ashes to you in a beautiful urn, wood box, tin or you may chose to provide your own vessel. We offer a great selection of pet memorabilia items online (HERE) we can also personalize your pet memorial items with engraving, plaques, laser etching etc. If you chose to have your pets ashes returned we will perform the transfer of your pets ashes into the vessel (urn,box,tin) of your choice. 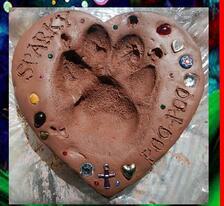 We will take a paw print of your pet in soft clay. Soft clay provides you with the option to personalize the boarder of the paw print with your pets name, dates or other information. To harden paw print just pop in home oven at low temp until hard. We provide "at Home Pet Euthanasia" we will come to your home, a compassionate Doctor of Veterinarian Medicine will evaluate and Euthanize (put to Sleep) your pet in the comfort of a familiar setting and surrounded with loved friends and family. We will then transport your pet, cremate your pet and return your pets ashes to you. We have a free book you can download that may help if you are considering Euthanasia. We have a great blog to honor your pet. We will add pictures of your pet to our blog. Distant family and friends can leave comments and condolences. Use our RSS Feed to connect blog to your social media sites. If you find yourself facing the heartbreak of losing your beloved family pet, understanding your options for final care can provide some much needed comfort. We understand that transporting a pet after life can be difficult for many people. We offer home pickup, certificate of private cremation, a paw print in soft clay and the return of your pet's ashes in a beautiful urn. Many pet owners today are choosing pet cremation as a respectful final care solution. You may choose to keep your companion near you or honor a favorite place you and your pet enjoyed. Pet cremation has become the most popular alternative for pet owners seeking respectful options in final care. Pet cremation is a compassionate, dignified and respectful way to honor a member of your family. We believe that every pet deserves to be handled with dignity, care and respect. I just wanted to thank you again so much for your help in my time of need. My 16 year old cat, Little Girl, was in the last stages of dying and I really wanted to let her pass at home in familiar surroundings. I had all but given up finding someone to come out to my home that I could actually afford. By the grace of God I found your website and called you when I saw that one of the services you offered was for at-home euthanasia. Fortunately for me, Dr. Victoria was available and you sent her out to my home. I couldn’t have asked for a more perfect person to come and help in my and Little Girl’s time of need. Dr. Peterson came to my home and was here within an hour. She was kind, caring and compassionate. She didn’t rush the process – even though she had somewhere else to be in a couple of hours, she sat on the floor with me and Little Girl and allowed us the time we needed to go through her final moments on this earth. She helped me handle Little Girl’s passing with dignity and respect. I really feel that the Universe (or God) brought you and Dr. Peterson in my life that day, and I’ve told everybody who asked about Little Girl’s passing about your kindness, help and compassion and about Dr. Peterson’s kindness and gentleness. Being able to let my Little Girl die in peace at her own home meant so much. It is truly the first time I have been able to assist in a pet’s passing without feeling tremendous guilt. I just felt her and I were surrounded by love and compassion. I can’t thank you enough. I really appreciate the services you offer. I have told everybody who will listen and passed on yours and Dr. Peterson’s information (website link) to several people already. It’s nice to know that people like you are out there to help during their time of need. You are truly a god-send. I can't express enough how much your company's services mean to us in helping us say 'good-bye' to Jay (Jay Bird). She came into our lives after my Dad passed away, and now they are reunited. Your ability to empathize with us when you picked up the body allowed me to know that it was okay to grieve at our loss. You handled all the explanations in a professional manner but with compassion. The blog/obituary for Jay was both emotional and comforting to see. You arranged the pictures beautifully. Every picture holds a story. When you returned Jay's ashes and the heart-shaped memorial impression, it was very emotional. I had wished that I had asked you to include impressions of Jay's feet. As I opened up the plastic that held the clay, I saw the foot imprints framing the impression of her head. The box with Jay's ashes is in a prominent place in our home now, along with the cremation certificate. The feathers that you saved for us are going to be cast in resin with 12 feathers that I found. I'm sorry that I couldn't thank you properly when you returned Jay's ashes. I will recommend you to anyone that I know who has a furry/feathery member of the family that passes on. P.S. Today my Dad would have been 91. Just wanted you to know that we really appreciated your services today and will recommend you highly to all our friend who may need your services. You and Dr Peterson were so nice and made the event so much earier. Thank you so much. Thank you for your kind words David. You and your company really do provide an invaluable service. Ozzborn was my pride and joy baby boy. His life was great and I hope I did enough for him. He was totally obsessed with playing ball/fetch and had more focus on such subject than any other dog or human could possibly imagine. I will miss him dearly. Thank you. I love you Ozzborn!!! Thank you David for providing this service. I had a bad experience going through a previous vet for our 14 year cat that passed away. And you were very thoughtful and understanding in all my distress over Cleo's untimely accident. I planted sunflowers today in her favorite garden patch and she will be dearly missed even though she was with us for such a short time. Marley will always be in our hearts, we loved him so dearly! He brought the sunshine to our days. We want to thank you David for being so compassionate in our time of grieving. We wouldn't have wanted anyone else to handle him. We offer at home pickup of your pet, certificate of private cremation, your pets paw print in soft clay and the return of your pets ashes in one of these beautiful urn. We also arrange at home pet euthanasia to make it easier on you and your pet. This is a free book you can download about end of life decisions for your pet. PLEASE CLICK HERE FOR THE FREE BOOK. "Safe transport for reasonable prices"